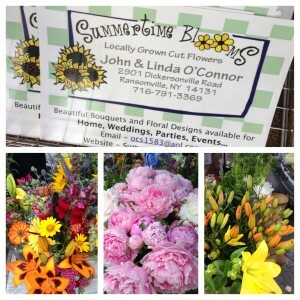 Summertime Blooms’ Linda O’Connor is always here to greet you with a smile and beautiful fresh cut flowers! They grow over 50 varieties of specialty fresh cut flowers for local farmers markets for all occasions. Won’t they look lovely on your table? Visit www.summertimeblooms.com for more information.